In 2006, I chaired a regional task force that made recommendations on redrawing evacuation plans after the disastrous Hurricane Rita evacuation. There was one storm scenario in the historical record that haunted our task force: a fast-moving hurricane that spun up in the Gulf and came ashore before an evacuation could be organized. Hurricane Michael was exactly that scenario. 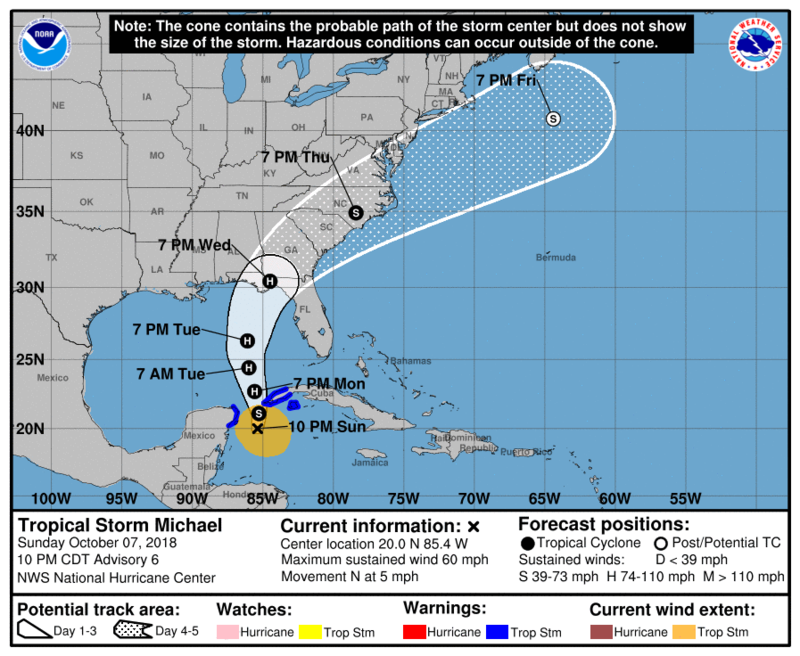 The first advisory on the tropical disturbance that would become Hurricane Michael was issued at 4:00PM on Saturday, October 6. The first hurricane watch for Florida was issued 7:00AM on Monday, October 8. Forty-eight hours later Michael was barreling into the Florida panhandle as a Category 4 monster. If Michael had come ashore here, it would have necessitated the evacuation of several hundred thousand residents. If it had followed the doomsday “Tract 7” scenario making landfall south of Galveston, the storm surge would have pushed miles inland and its 140mph winds would have ripped a swath of destruction up the west side of Galveston Bay and deep into Houston proper. And we would have had little ability to protect the residents in those areas because it is a logistical impossibility to evacuate that many people in 48 hours. Emergency officials are justifiably reluctant to call evacuations too early. Evacuations in themselves put lives at risk and carry an enormous economic cost. It is impossible to say when our officials might have called for the first mandatory evacuations, but it’s unlikely it would have been before sometime Monday morning. As the storm rushed toward the coast, they would have been forced to quickly enlarge the evacuation area further inland. Imagine the chaos of an evacuation call coming a few hours after a Monday morning rush-hour commute and then continuing through the evening commute. It would have been a nightmare for normal, able-bodied people. But for fragile populations for whom evacuation is particularly challenging, like the elderly and those in special facilities such as nursing homes and hospitals, it would likely be a death sentence. As bad as Harvey was, it would a walk in the park compared to a Michael making landfall here. On top of the human tragedy, the environmental catastrophe of a storm surge overflowing dozens of superfund sites and thousands of other industrial facilities is unimaginable. And, of course, the economic cost would be many billions, most likely even damaging the national economy. Periodically, I will hear someone say that we should not try to protect our region from a catastrophic hurricane. Rather, they contend that we should begin to withdraw from the coast or that we should simply rely on evacuation in the event of a storm. This kind of talk is utter and dangerous nonsense. Perhaps we should not have built everything we did on our flat coastal plain. But we have and there is no undoing it. And if we continue to rely solely on evacuation, there will be a day when we will see thousands of casualties from a storm like Hurricane Michael. Most will be will be poor, sick and elderly. We have no choice. We must build some kind of structural protection from a catastrophic hurricane. Every year we continue to dither is one more round of the insane game of Russian roulette we are currently playing. Our elected officials should have woken up in a cold sweat after seeing Michael unfold. They need to get off their asses and get this done.